Adjust your fit, if need be, by removing with the terry-covered insole of the denim blue canvas “Senna." 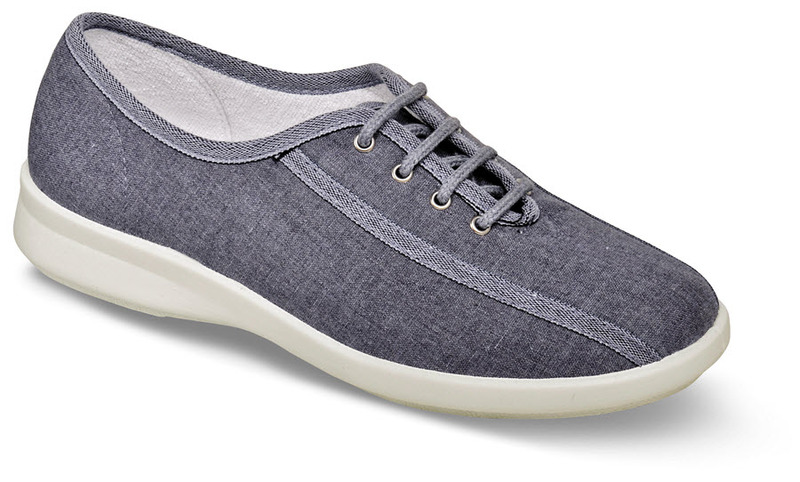 This extremely comfortable casual tie shoe from England's easyB is lined with soft brushed fabric and has highly flexible hardwearing polyurethane outsoles. Originally $99.95. Limited stock in U.K. sizes to fit U.S. women's sizes in variable 2V width (fits 2E to 4E) and 6V width (for 6E and wider). Order by U.S. sizes indicated.